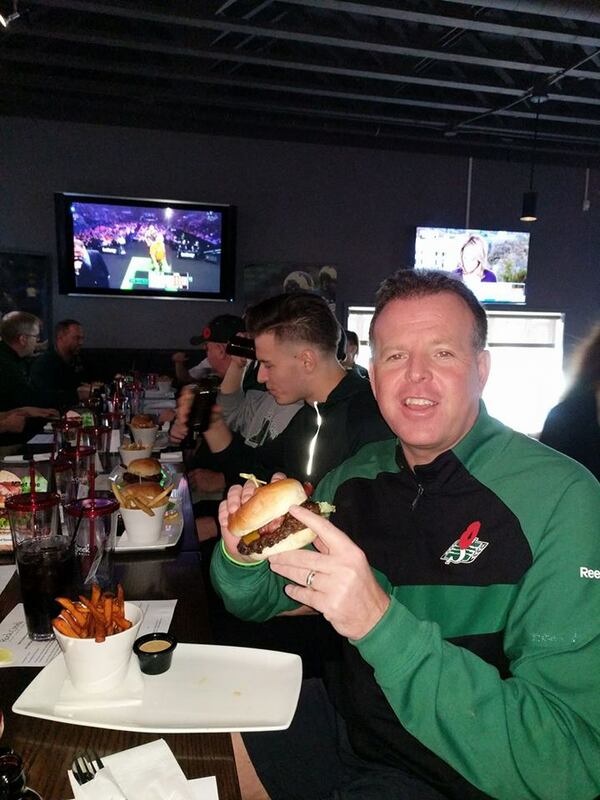 REGINA, SK – Rock Creek Tap & Grill today announced the introduction of the COUGAR BURGER, a crowd-pleasing beef burger brushed with sweetened chipotle beer sauce and topped with cheese, maple bacon, lettuce and tomato. Rock Creek is giving $1.00 from every Cougar Burger sold in their Quance St and Normanview locations to the teams to offset costs associated with equipment, uniforms, coaching and travel. The promotion will run from November 2016 to May 2017. Rock Creek Tap and Grill is a Saskatchewan-based franchise owned by Stu Rathwell. It has locations across Saskatchewan and Alberta. Two weeks ago, it opened a new franchise concept called RockWood Urban Grill in Winnipeg, MB. Nice picture! You look stoned! LOL!